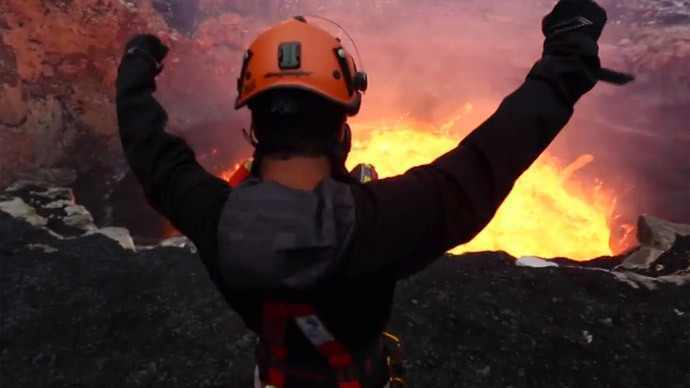 Two Americans are among the first explorers to have stepped inside one of the world’s most dangerous and inaccessible volcanoes. Sam Cossman and George Kourounis undertook the challenge, flying from San Francisco to the island archipelago. 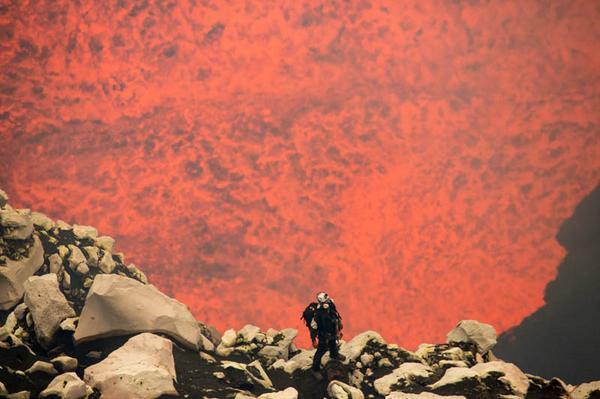 More people have visited the moon than the lava filled crater in Vanuatu. They were helped by two guides, Geoff Mackley and Brad Ambrose, and spent four days on the volcano. They made two descents into the fiery abyss. Panorama shot from the top, looking down 1200 feet to the Marum lava lake. The same height as the Empire State bldg. Kourounis has a passion for death defying experiences and has chased tornados and is a big fan of volcanoes. 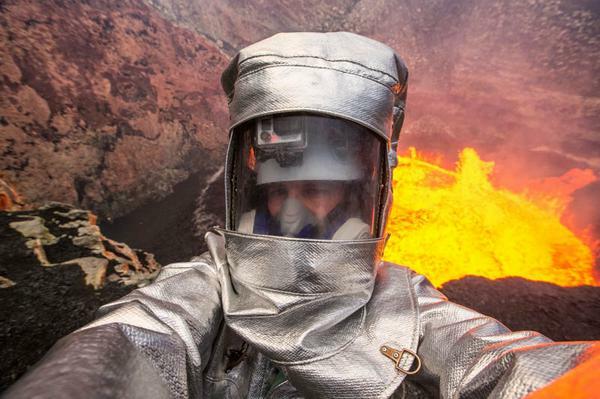 However, even he admitted that going to the Marum volcano was one of the most intense experiences he has ever had. Thankfully, he kept the public up to date with plenty of tweets and an amazing video, which he posted onto Youtube on September 4. Extreme hiking… INSIDE an active volcano. This is George about halfway down. 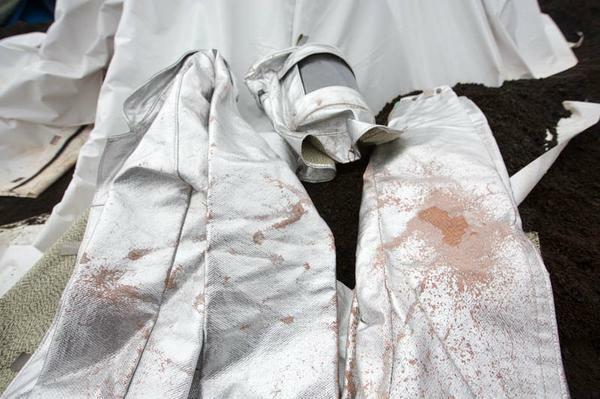 The duo had to wear protective suits because of the extreme heat and to stop acid rain from burning them. Kourounis also says he got so close to the lava that splashes of it melted a hole in his rain jacket and also a part of one of his cameras.